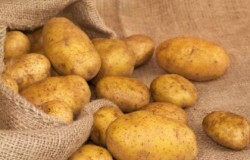 The customs officers have recovered a stock of illegal drugs inside three containers carrying imported potatoes. This revelation was made during a raid carried out by the customs officers. The containers are currently kept in the Orugodawatte container unit. Customs Media Spokesperson Customs Director Leslie Gamini said that they expect to release the stocks of potatoes to the market next Monday following inspection. He further said that an extensive investigation will be launched into the illegal drugs that were found among the potatoes in the containers. The customs said that they have not yet valued the drugs. An extensive investigation will be launched by the customs in this regard.